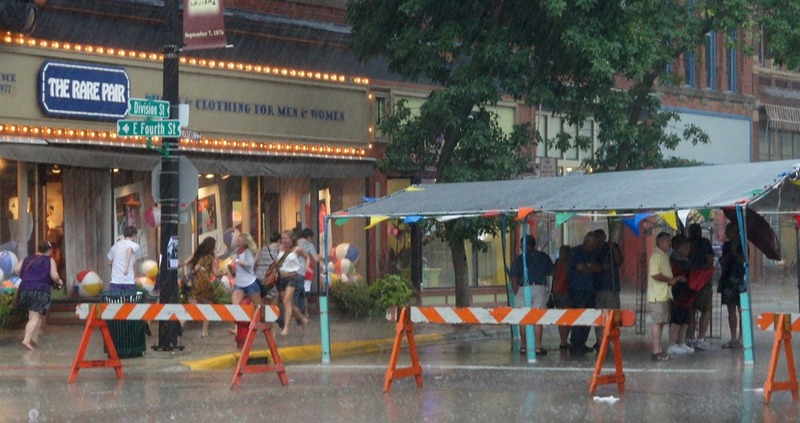 Taste of Northfield: Should we rename it Defeat of Mother Nature Days? 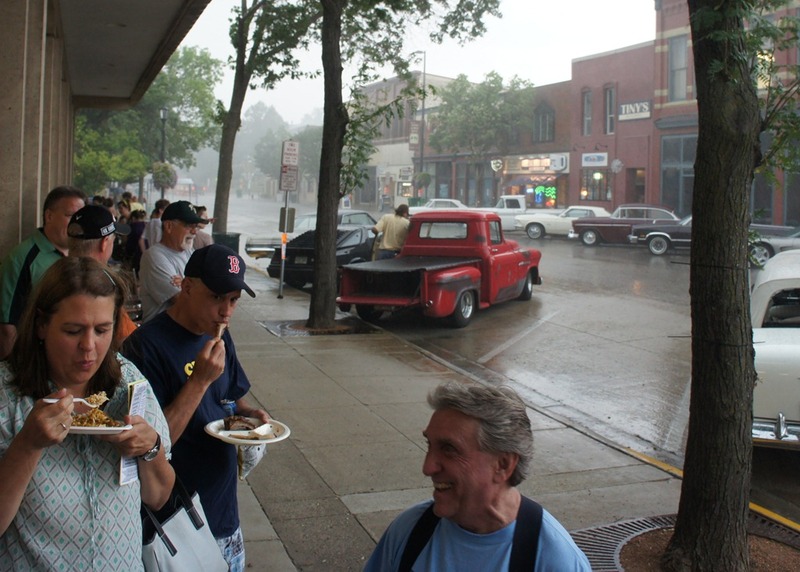 The weather for Taste of Northfield 2012, Round 2 started out gorgeous on Thursday afternoon (it was rained out in June) and Bridge Square began filling up with hungry townsfolk. 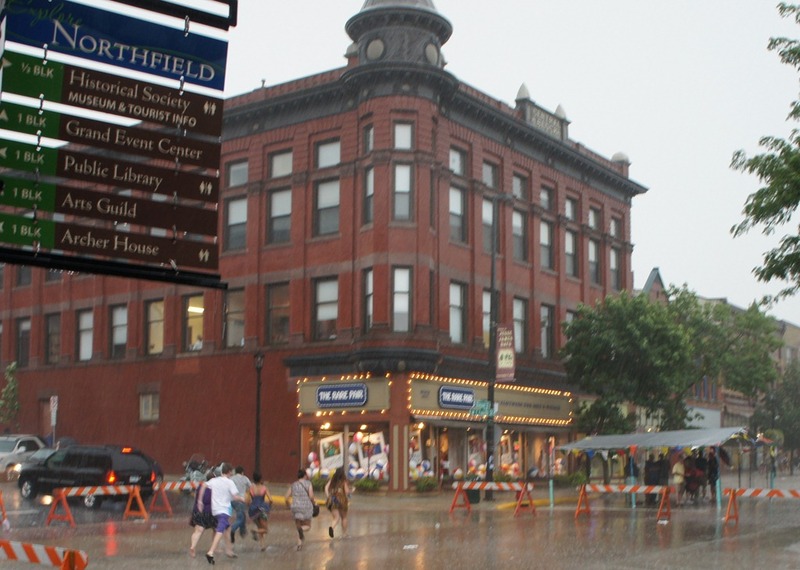 But around 6 pm, a small but powerful thunderstorm drew a bead on downtown Northfield. 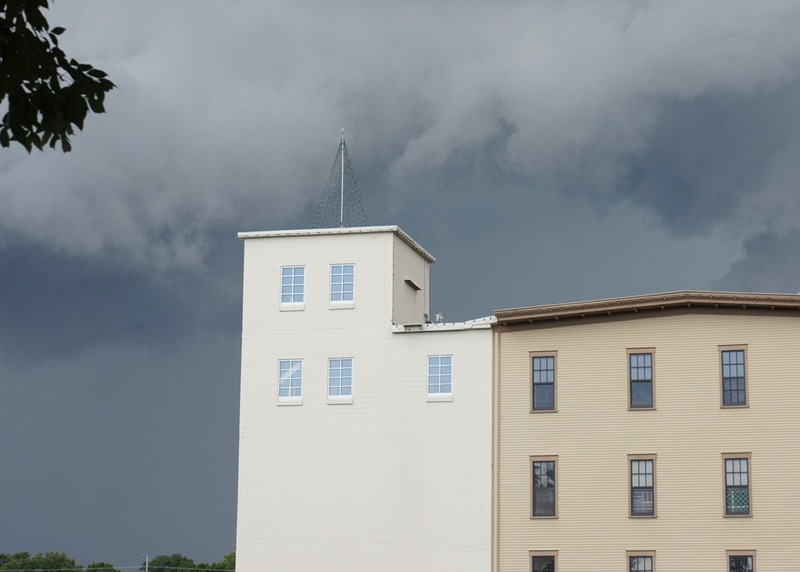 The storm sent the townsfolk running for cover. After the rain let up a bit, I rode my bike home, assuming it was all over for the night. I returned an hour later, shocked to see Bridge Square packed with people eating and musicians performing. 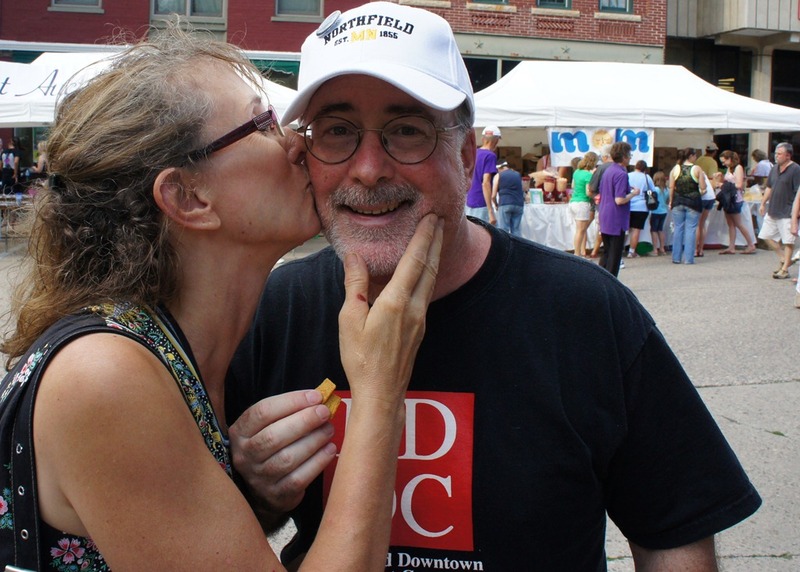 Women were bestowing their charms upon NDDC‘s Ross Currier in appreciation, his Alaskan donut addiction notwithstanding. 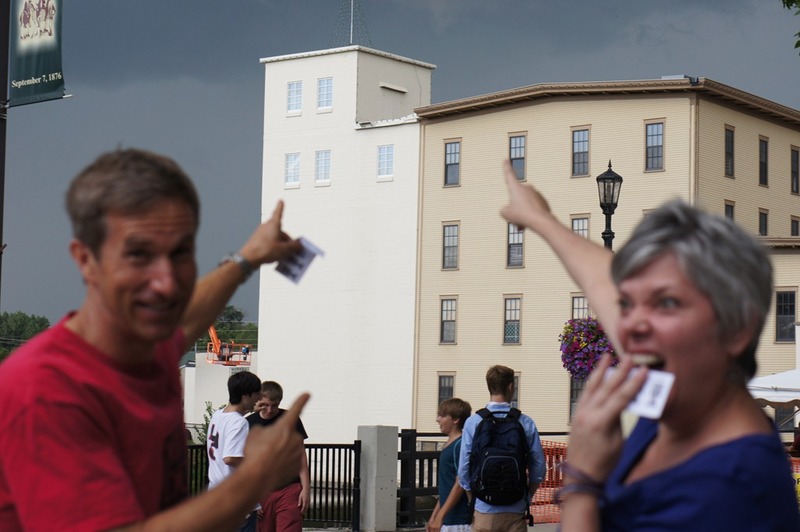 Once again, Northfield citizens had pulled together to defend the town.